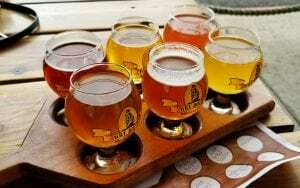 Anyone familiar with the Denver beer-scene has undoubtedly heard of the Great American Beer Festival, also known as GABF to beer aficionados world-wide. However, there’s a variety of other phenomenal festivals that need not be overlooked throughout the year in the Denver-metro area! Denver Brew Fest (denverbrewfest.com) – With 2 installments (yes, you read that right 2), Denver Brew Fest at Mile High Station delivers all the unlimited pours your beer-loving heart desires! One offering falls in January known as the “Winter Brew Fest” and the second is the “Summer Brew Fest” hosted in July. This festival supports Swallow Hill Music, whose mission is to positively enrich people’s daily lives through music. Ratio, Crooked Stave, Jagged Mountain, Weldworks, 4 Noses, Pike’s Peak, Great Divide, Eddyline, Little Machine, and so many more Colorado breweries frequent this festival. With a killer line up of Colorado breweries, food trucks, a photobooth, apparel vendors, and live entertainment – this festival may just have it all. Collaboration Fest (collaborationfest.com) – Probably the most unique of the 6, is Collaboration Fest. This festival typically falls during the month of March and the location has bounced around to various locations throughout Denver, occupying larger spaces as the festival has grown in popularity. What makes Collaboration Fest particularly appealing to die-hard beer drinkers are the unique brews offered at this event. Denver area breweries team up, either locally or nationwide, to create a limited offering brew together that is ONLY available at this festival! Yes, please. Can you say bragging rights?! The brews offered tend to fall in line with the current beer-scene trends. This year I got to sample a wide variety of saisons, sours, and even some more creative offerings including a sake-esque brew! I love experimental type brews and look forward to the offerings at Collaboration Fest each year! Save the Ales (conservationco.org/savetheales) – No water, no beer. Save the Ales teams up with Conservation Colorado to raise funds to protect, conserve, and ensure clean water for all Coloradans. Held at Mile High Station, Save the Ales boasts an excellent VIP hour that includes a t-shirt and a catered lounge! After devouring my fill of hand-rolled sustainable sushi from Bamboo Sushi, I made my way around to start sampling the brews. Jagged Mountain had several tasty saisons, Chain reaction had a Lavender Lager, 4 Noses had their Berry Passion Berliner, and too many other phenomenal brews to name! Save the Ales definitely had the A game on. This festival is totally worth its slightly higher VIP price tag! Chef and Brew (chefandbrew.com) – Yes, this festival is exactly what you think! 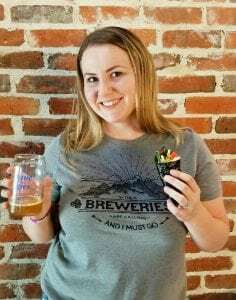 Denver area breweries team up with some of the hottest eateries/chefs and create a mouth-watering pairing of craft beer and bites. 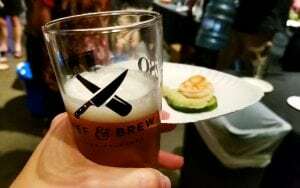 Chef and Brew is held at Exdo Event Center in the RiNo neighborhood towards the end of August. The chefs’ and brewers’ are competing for four awards including: Best Beer, Best Chef, Best Pairing, and People’s Choice! Some of the pairings just nail-it, like Mizuna and Avery Brewing Company – their steamed bun with pork shoulder and pickled carrots were delicious with the ginger sour beer. While some are unique, such as Citizen Rail and Crooked Stave – the muscle palisade peach concoction paired with a petite sour peach brew. You get a wide variety of flavors here that are bound to satisfy every palette. With 2018 marking its seventh year, it’s safe to say: it’s not going anywhere. Make sure to come hungry!! A-Town Funk Fest (drydockbrewing.com/blog/events/a-town-funk-fest) – With 2018 marking its third year since conception, A-Town Funk Fest is a celebration of all that is tart and puckering! Dry Dock Brewing Company of Aurora is the mastermind behind this homage to funk. All the brews represented here fall in the saison, sour, and grisette category. Notable pours from this year’s brewers included Launch Pad Brewery’s Transit of Venus, Ursula Brewing’s Coal Miner’s Delight and Melismatic, Peak to Peak Tap and Brew’s Last Petal Saison and Last Barrel Golden Sour, and of course Dry Dock’s very own Sour Apricot Blonde, Maurea, and Peach Whiskey Sour. Whoa! The Peach Whiskey Sour had delicious peach pie notes. While Last Petal Saison had a tea like quality that I have yet to experience again. Did I mention a DJ spinning up some wildly appropriately themed funky tunes? Well yeah, there’s that too. If you like your brews Funky, with a capital “F” – you definitely want to check out this festival! 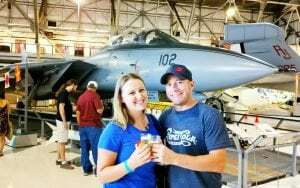 Hops in the Hangar (https://wingsmuseum.org/event/hops/) – Where do you get the opportunity to sip on a craft brew while browsing an impressive variety of aircrafts? Hops in the Hangar at Wings over the Rockies in Lowry! This festival hits the calendar mid-August. It features admission to the air and space museum, a selection of Colorado breweries, several food trucks (with one meal included), live entertainment, and even a classic car show. This year they allowed attendees to cast their vote with a “People’s Choice” award for the best brew. 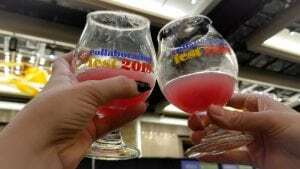 There were a wide variety of phenomenal offerings to sip from including Copper Kettle Brewing Company’s Mexican Chocolate Stout, Crooked Stave’s Petite Sour Rose, Resolute Brewing Company’s Spruce Willis, and Launch Pad’s Strawberry Rhubarb Saison – just to name a few. This festival is definitely a unique experience that should not be missed! 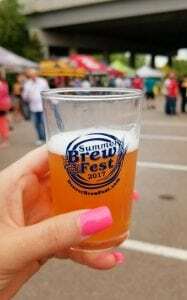 Having attended all these festivals in various capacities (either imbibing or slinging the goods), I can safely say that NONE of them should be missed by any true-blue beer lover. I also highly suggest the “treat yo’self” method of event-going and springing for those VIP tickets once in a while! Not only do you get first access to all the offerings, but you often get a special VIP hour pour or two from the attending breweries. Plus, it’s typically less crowded than general admission. So, go ahead – treat yo’self!